Until they actually achieve it, every wanna-be art celebrity can be called a fool. Lured by the status of a glamorous occupation, time and money is thrown down the tube, usually against the wise counsel of family. For each and every successful actor, ballerina, or rock star, there are thousands of fools who came up short. But even more so in the visual arts, where not only is success extremely rare, but nobody knows how to get there. Anybody can be a famous artist—it’s just that hardly anyone ever is. But funeral-home heir and retired businessman Matt Lamb takes the ordinary foolishness of hopeless dreams to a new level because he has both more money, and less shame, than all the others. Set to officially open in Chicago next month is his new “Museum of Private Art Collections,” following four days of festivities throughout the Chicago area, including the “Umbrellas for Peace” parade, and a daily speech delivered by Mr. Lamb himself. 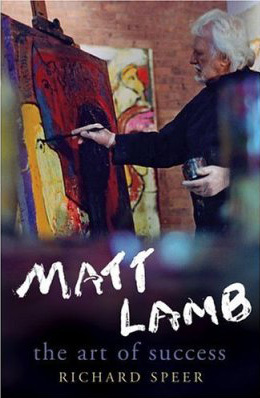 But Lamb’s museum has already been in the River East Art Center for more than a year now, where it was initially called the “Dali Lamb Museum,” in recognition of the two great artists who are on display: Matt Lamb and fellow master, Salvador Dali, both of whom are also in the museums that Lamb owns in Spain, Argentina, Russia and Germany. Somehow, the surreal delusions of Dali seem particularly appropriate in this context. Will five museums around the world, including a 20,000-square-foot facility in Chicago’s River East Art Center, and 500 million dollars worth of Dali art, be enough to get Matt Lamb recognized as a genius of modern art?